As an asphalt roof ages the petrochemical oils dry out causing brittleness of the waterproofing asphalt. Brittle asphalt cracks during expansion and contraction eventually requiring replacement. Roof Maxx’s all-natural bio-oil replaces dried-out petrochemical oils restoring pliability and waterproofing protection by re-flexibilization of the hydrocarbon backbone. 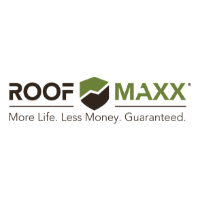 A simple spray-on application, each Roof Maxx treatment (repeatable process) extends a roof’s service life for a period of 5 years at a fraction of the cost of complete roof replacement. Roof Maxx’s vision is to be a positive force in roofing sustainability through the increased service life of asphalt roofing systems.